Popular fidgets, stress reducers and hand strengtheners for those who love to squeeze. 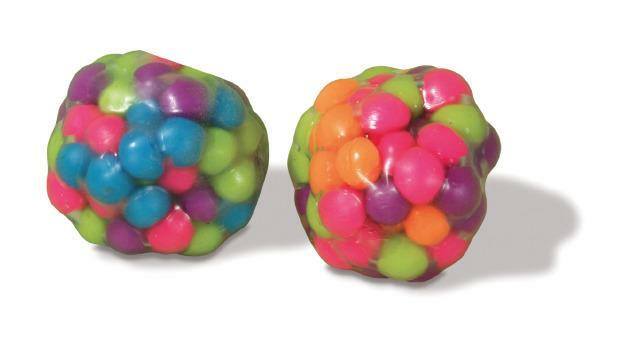 Filled with mini spheres in hot neon colors. Latex Free. Price is for 1. CHLOE'S PICK - "I love to squeeze and play with this fidget Ball. It has smaller ball like pieces inside of it that makes for a unique fidget. It’s great to help keep hands busy." Had less than a week and both balls I bought had holes in them and had to be thrown away. Not very durable.